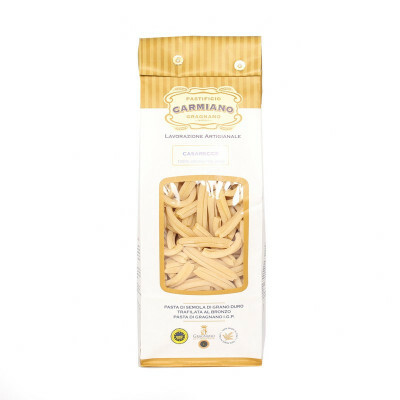 The pasta company of Carmiano, operating in Gragnano, treasures over 500 years of passion and excellence, scrupulously observing the secret techniques of pasta production passed down through generations. 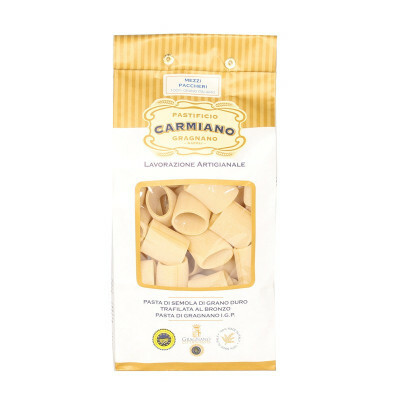 Their mission is to combine the precious teaching of the past with the taste of the modern client, all the while providing the most demanding palates with sublime quality. 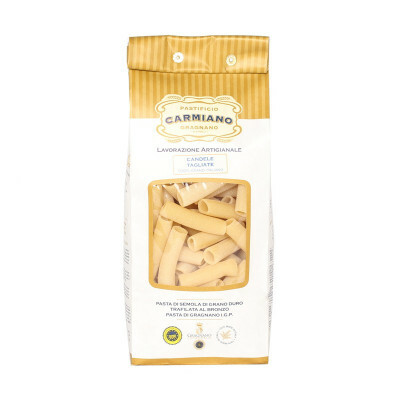 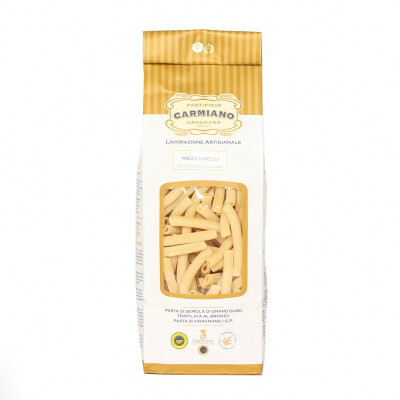 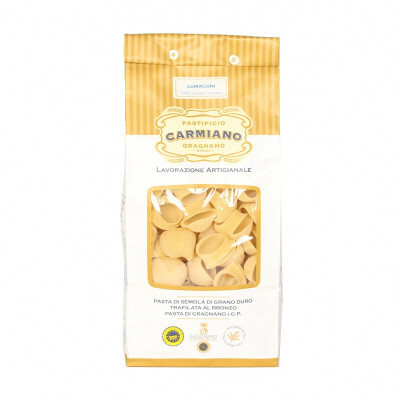 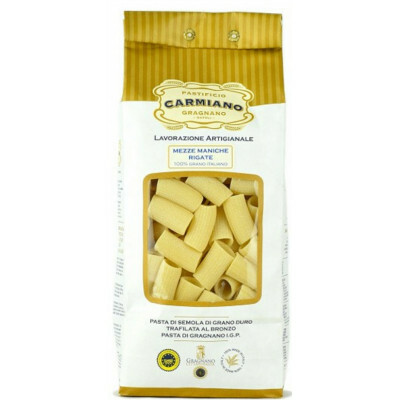 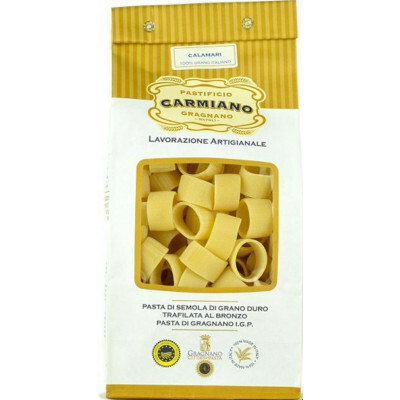 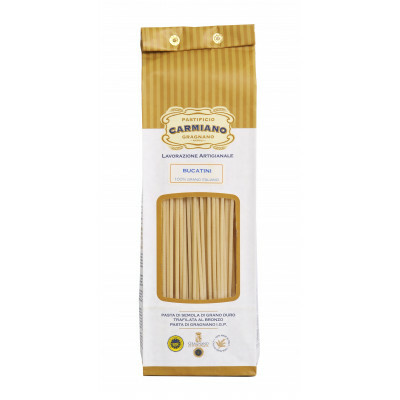 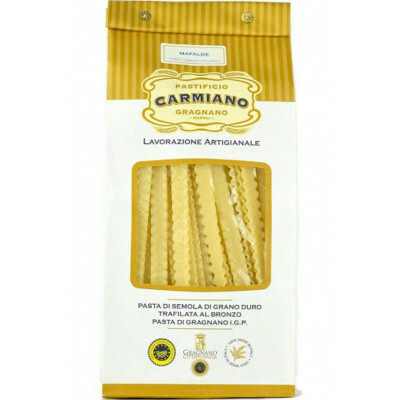 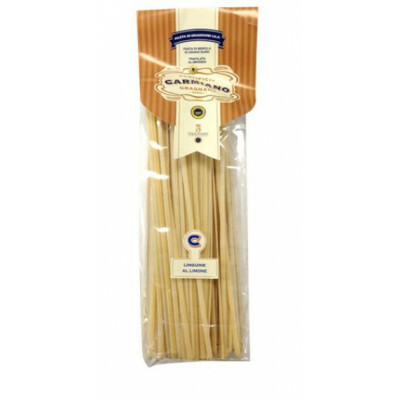 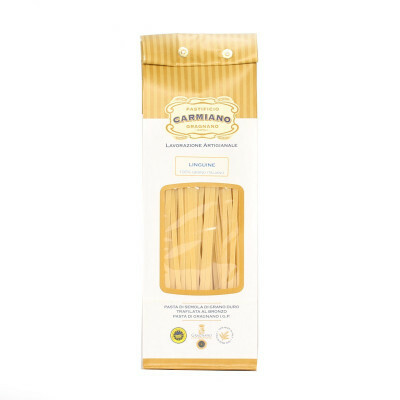 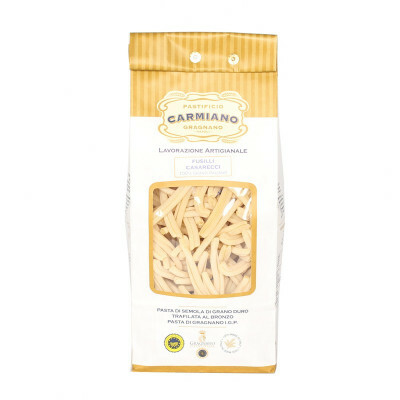 Carmiano pasta is prepared by using durum wheat semolina and fresh water from Gragnano, and it is worked, compressed and cut with top-quality bronze machines which give the final product a rough and porous surface to capture the sauce perfectly.